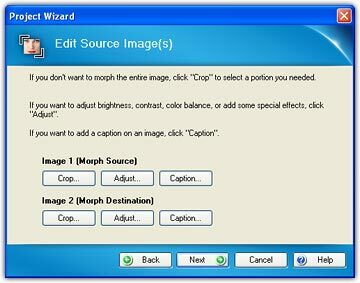 FantaMorph offers a Project Wizard that is a great start point for beginners. 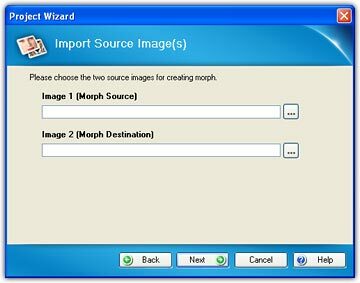 You can easily create your first morph by this step 1-2-3 wizard. 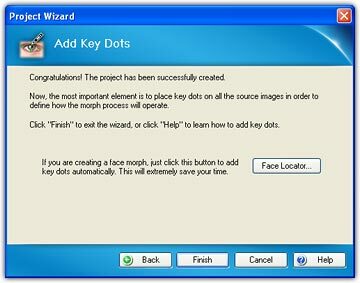 If you are familiar with the program, you can freely create your morphs by following the process described in the Quick Tutorial. 1. On the welcome window, you can choose one task from "Open an existing project" or "Create a new project". You can quickly load one of the three recent projects by clicking a hotlink under "Open an existing project". 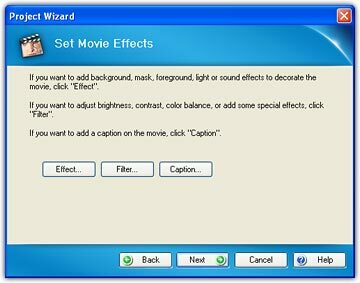 If you don't want to use the wizard at startup of the program, just check the "Don't show this wizard again". 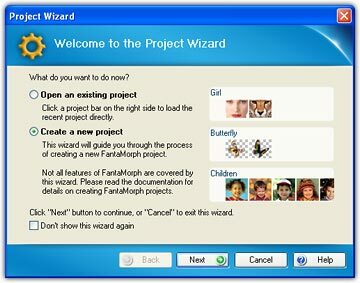 You can still launch the wizard by choosing the File/New Project Wizard menu at any time. 2. Choose project type you want to create. 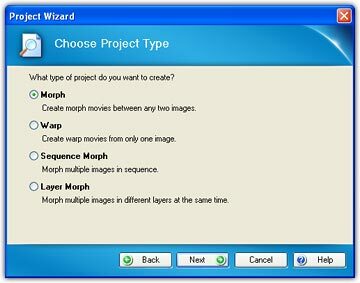 If you choose "Warp" or "Multiple Morph", the subsequent dialog boxes will be a little different from those ones in step 3 & 4 for "Morph".